International Journal of Research in Health Sciences,2018,6,3,1-5. We report a case of a 26-year-old man who presented 3 years back with signs and symptoms of severe hypercalcemia and osteoporosis, including muscle spasm and bone deformity and was admitted to hospital several times. Laboratory investigations were consistent with primary hyperparathyroidism (PHPT). 99m Tc-MIBI scintigraphy demonstrated a very big parathyroid adenoma in the mediastinum. 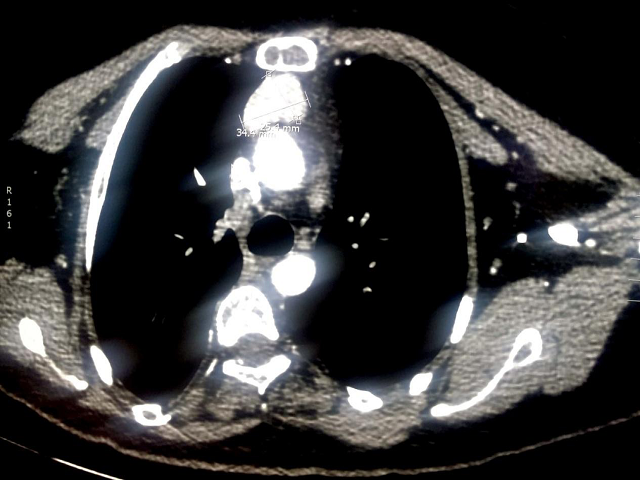 Neck and chest computerized tomography scanning confirmed the diagnosis and showed the anatomical details.